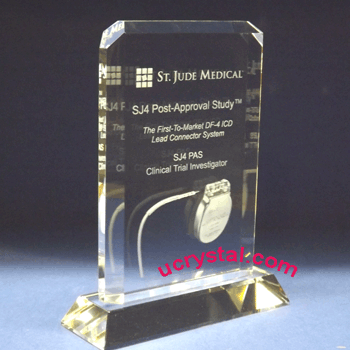 Executive rectangular with base crystal plaque award. 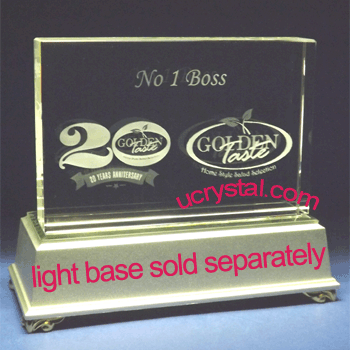 This executive rectangular award defines simple elegance in customized crystal awards. 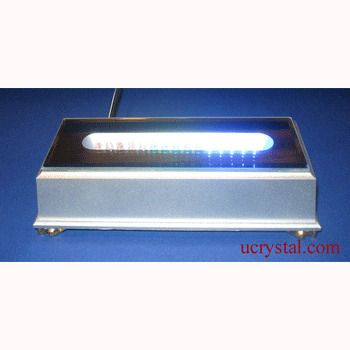 It is an extra large crystal rectangle with beveled edging, and the top corners were cut for extra elegance. 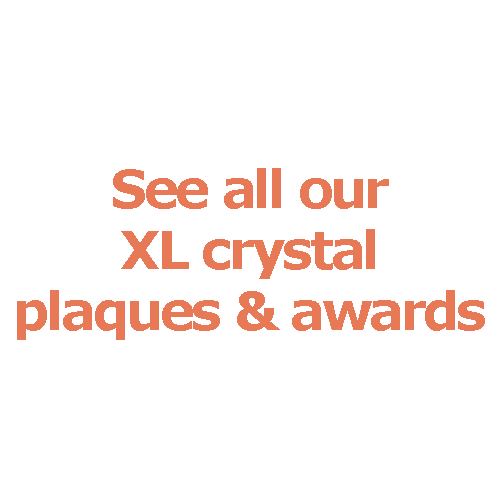 This recognition crystal award includes a generous engraving area for messages of congratulations and exceptional achievement. 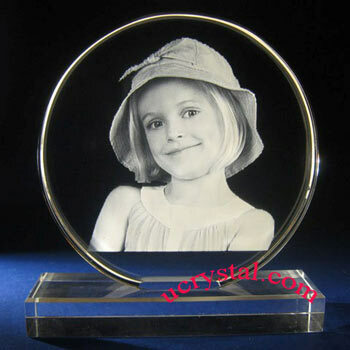 It also has ample space to engrave company logo or even employee photo INSIDE the crystal. 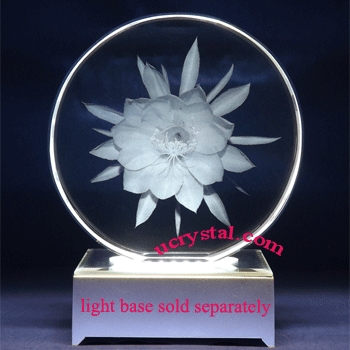 The engraved image looks to be “floating” inside the crystal. 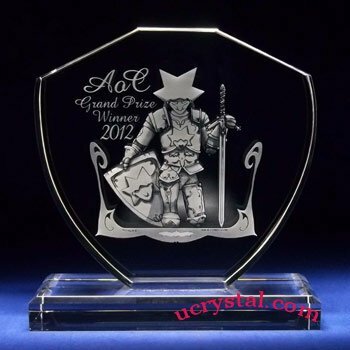 All engraving and layout design are free at no extra charge. 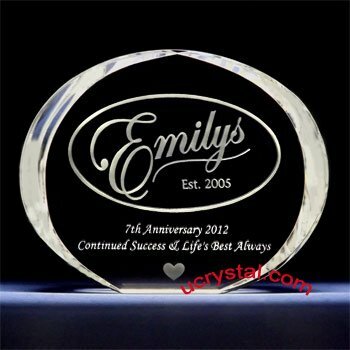 This crystal is popular among our corporate customers as their personalized engraved crystal plaques, as you can see from the examples on the left. 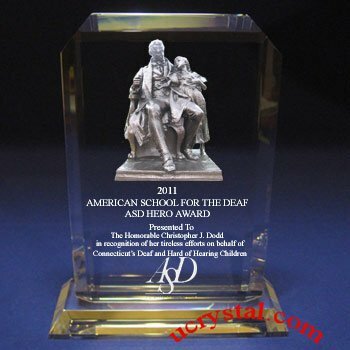 They were made for American School for the Deaf, American Civil Liberties Union, and St. Jude Medical. 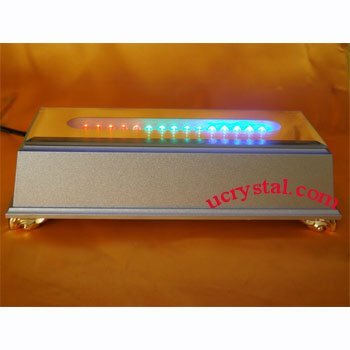 Suitable LED light bases are shown on the same page. 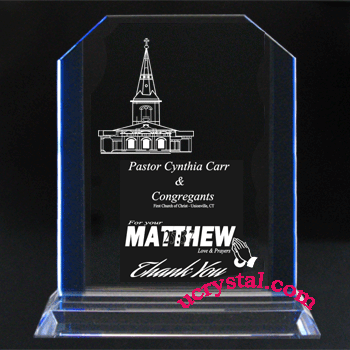 Executive awards, rectangular corner-cut with firmly attached crystal base (doesn't come with light), bevel edges. Size: 5-1/8 width x 8-5/8" height x 3/4” thickness. (height includes base).